Explore the beautiful coral reefs surrounding Okinawa's southernmost islands. 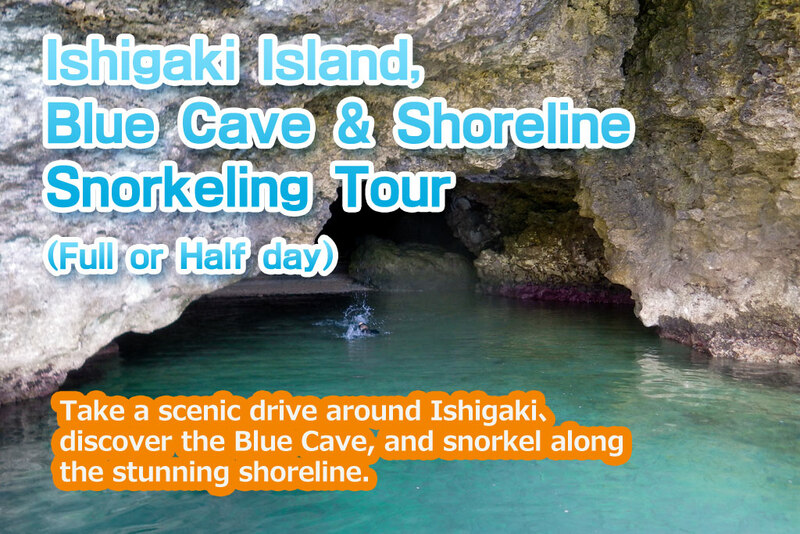 Depart from Ishigaki and snorkel among the tropical fish near the islands of Taketomi, Kuroshima, and the secluded Panari. 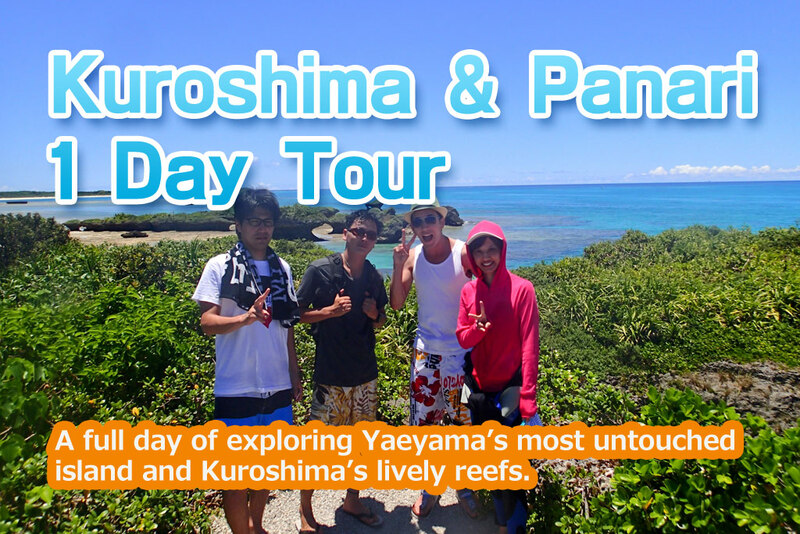 The perfect way to spend a holiday in Okinawa. However, in a small play on words (or characters, should I say) the kanji in our shop name are not the usual symbols, but instead those for “time”, “play”, and “person.” Although phonetically read the same way, the meaning behind these characters describe what we, at Jiyujin, strive to do everyday. Now, here`s where we get deep. To us, these characters symbolize the beauty in the finite time we have in our lives. The beauty comes when we realize that we must spend as much time as we can, playing or enjoying our lives while meeting and learning about the people with whom we share this world. Wow, still with me right? Good! 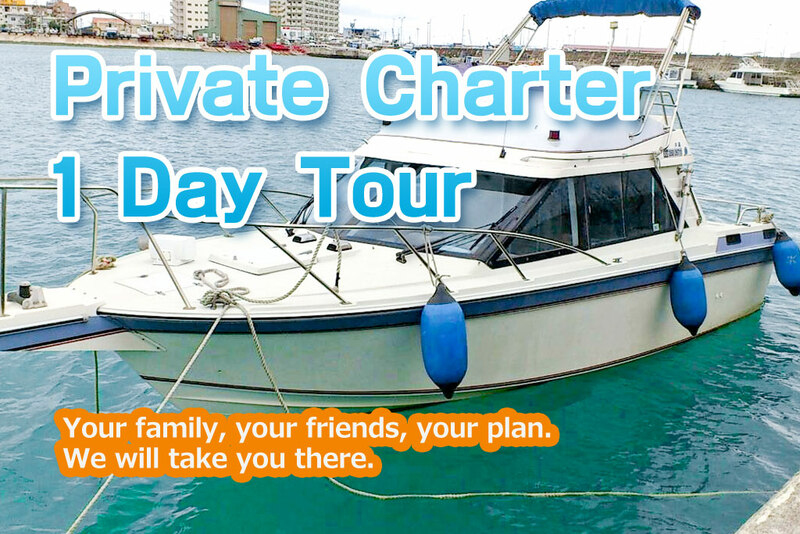 Well, with this in mind, we want everyone to enjoy the time we can spend together surrounded by the breathtaking Yaeyama ocean without a single care or worry. Since English is the global language, we give our tours in both English and Japanese so travelers from all over the globe can fully enjoy their time with us in Ishigaki. Become a jiyujin. It`s time to be free. Children (12 and under) ¥7,700/person. *Please contact us for parties larger than 10 people. 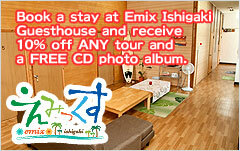 Book a stay at Emix Ishigaki Guesthouse and receive 10% off ANY tour and a FREE CD photo album. 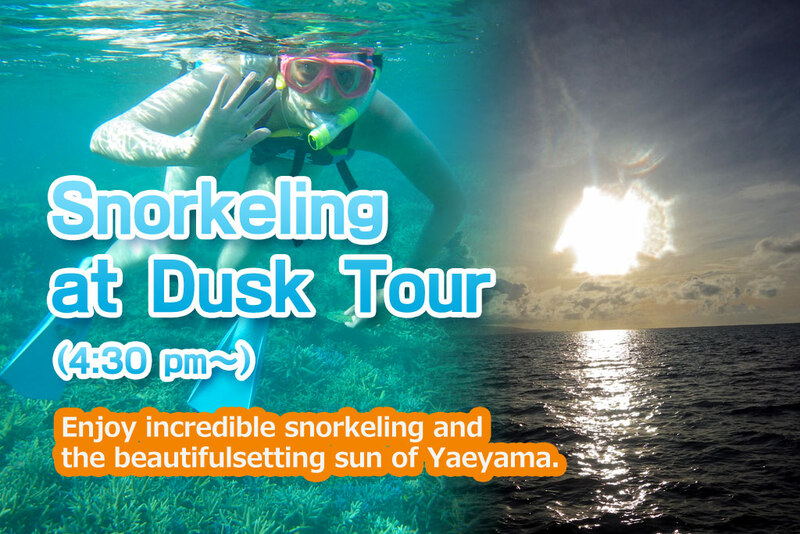 Copyright © 2019 Snorkeling Tour Jiyujin | Ishigaki Island. All rights reserved.